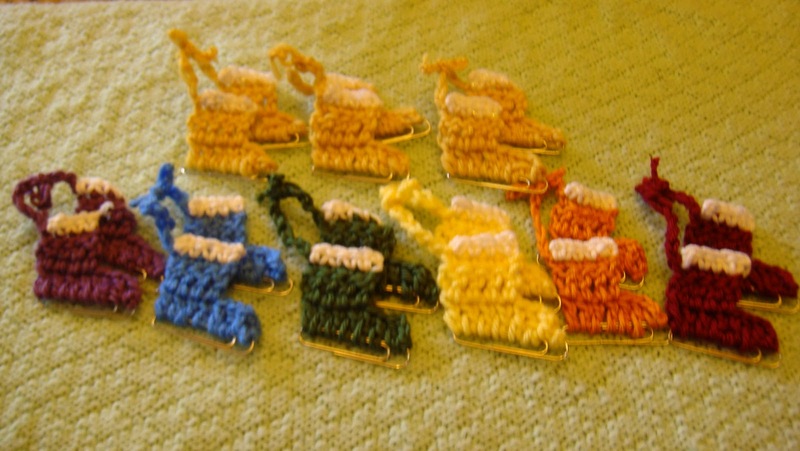 Knitted Thoughts: Paperclip Ice Skate Ornaments! In all fairness though, her Finance class has been impressing the entrepreneurial spirit on all the students and last week they held a silent auction at the Homeschool Creative Learning Center where the class is held. 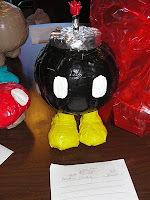 Each student brought in handmade items to sell and 10% of the proceeds were donated to the Creative Learning Center. Charlotte cleaned up. She sold a variety of hand knit items, including scarves, pumpkins and shawls. She even spun a few skeins of yarn on her hand spindle and those sold at a VERY nice price. 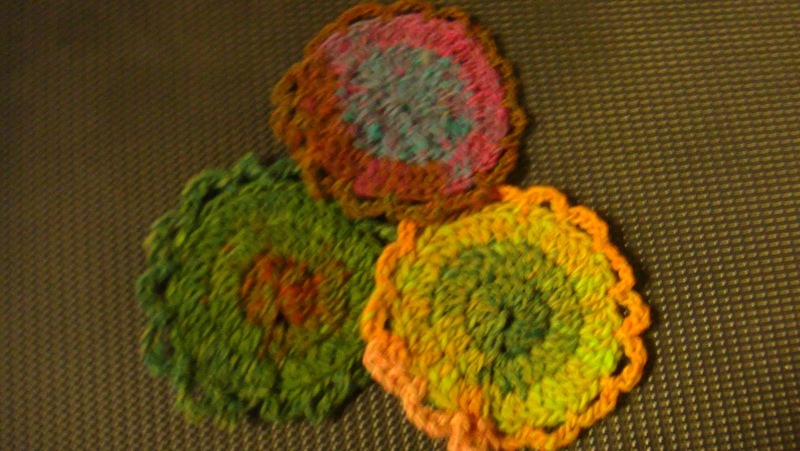 I snapped up this set of three coasters for myself. The kids were quite creative, offering pet sitting services, homemade muffins, artwork and even duct tape creatures -- they were the most incredible duct tape creations I'd ever seen and I've included a picture of one of my favorites below. This has been such a great class for these kids. Their amazing teacher, Elmarie, has taught them how to create budgets, balance a checkbook and understand the intricacies of the financial world: inflation, recessions, stocks, etc. Those are really beautiful. It's times like these I wish I wasn't male and I could actually indulge myself sitting around a nice burning fire making these things. Charlotte is very talented! Yay!! I'm so happy I inspired more entreneur-like thinking in the kids, that was one of the major goals of the class! I love teaching that class! No coercion necessary...we're ready and willing with multiple '$.50s' and we're very proud of our talented Charlotte!